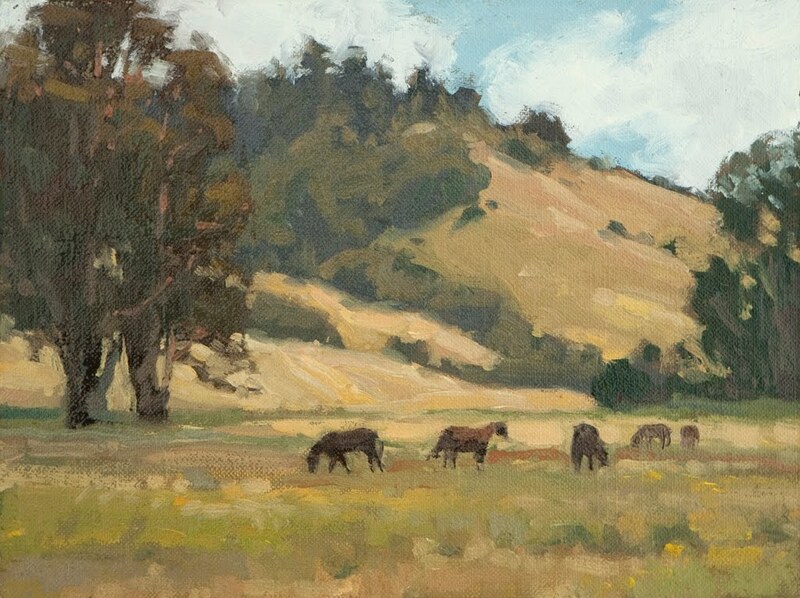 Today, Ernesto and I joined the California Art Club for their quarterly Paint Out at an equestrian ranch just outside Nicasio. The weather was quite windy and chilly, as we were on the fringe of the fog line. The wonderful part of it was that we had soft broken clouds to paint instead of the ubiquitous empty Bay Area skies. We saw so many ticks today that I still feel like I have them crawling on me. 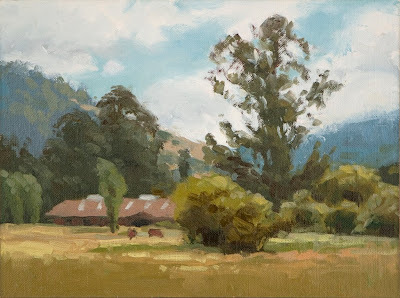 Still, it was great to be out painting. Both studies are 8x6", oil on linen. wow...I do think that the weather challenge was well worth....you have a quite good art that came out of this outing. I like the smoothed colors and can feel the cold in the air.